Samsung now have an answer to the iPad Pro ­–the Samsung XE513C24-K01US Chromebook Plus. This Chromebook first surfaced during the CES 2017, and it was a bold gesture from Samsung. In fact, Samsung made a statement with two models, the Chromebook Pro and Plus which emphasize the company’s commitment to Chrome OS. Both Chromebooks are designed in conjunction with Google, and the Chromebook Plus is the first one we’re seeing built from the ground up with support for Android apps on Chrome. It’s also the first Chromebook boosting a stylus and on-screen inking. The Chromebook Pro and Plus are virtually identical, safe for different processors. As for the Chromebook Plus, you’re getting a full 360-degree convertible Chromebook that functions as a traditional notebook form factor, or can be flipped around to work as a touchscreen tablet. It is an easy choice to recommend, and if you have a few buck to spare for a well-rounded Chromebook, this Samsung is worth a gander. The Samsung K01US measures 0.6 by 11 by 8.7 inches (HWD) and weighs 2.4 pounds, which is average for a 12-inch laptop. Its styling is modern, with a fancy aluminum finish; and the aluminum body help the system look and feel more like a premium laptop. 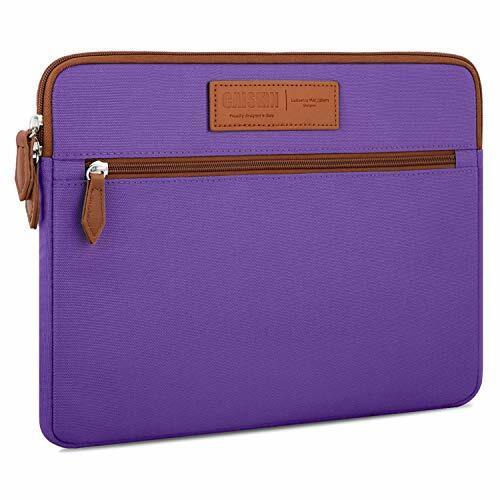 It is lightweight for daily commute and is just over half an inch when closed. The 360-degree hinge lets the device switch between laptop and tablet modes, much like many convertible Windows laptops available on the market. But convertible Chromebooks aren’t a new thing, so what makes Samsung’s latest Chromebook different? Design-wise, Samsung have included never-seen-before features, especially the inclusion of a Stylus. For years, Samsung’s standalone tablets and phones have gad styli, but seeing the same trickle down to Chromebooks is worth the hype, with the same accelerometers and gyroscopes. Stylus support and the flexibility to switch between modes are a big part of Google’s pitch for the device, which is said to work for both productivity and entertainment. 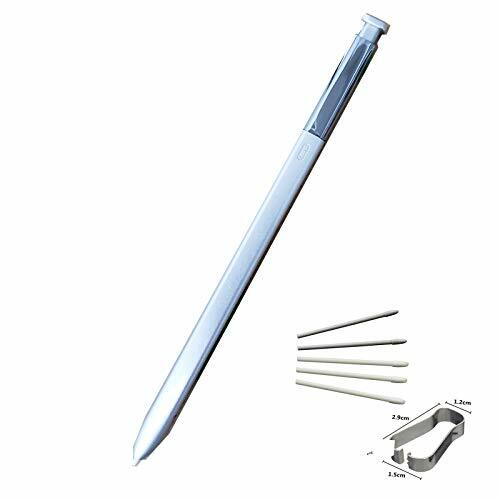 The included stylus can be used to write on the screen, grab screenshots here-and-there, or as a “laser pointer” to highlight things. It can even be used to take notes in Google Keep, and have them instantly synced through Google’s optical character recognition. 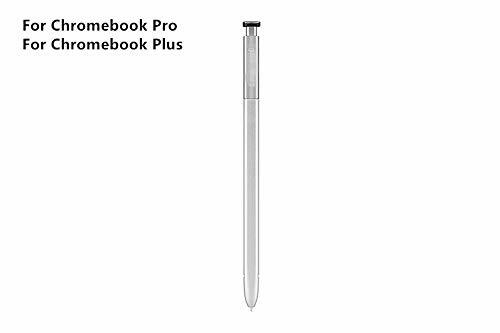 The stylus conveniently slides into a slot on the side of the laptop, once you remove it, a menu of options pops up on the screen. The 12.3-inch touchscreen display (2,400-by-1,600 resolution) is sharp, bright and very responsive. And speaking of responsive, the keyboard and trackpad are very comfortable, too, from my brief tinker with them. Connectivity is good, including USB-C, a pair of reversible USB connectors and a Micro-SD card slot. The USB-C ports are multi-use and do support regular USB devices, you can even connect an HDMI-supporting monitor if you got the right adapters. However, it doesn’t come with a dedicated HDMI-out port. Internet connectivity comes via the faster and higher range 802.11ac 2×2 standard and also Bluetooth 4.0. Chromebooks don’t usually come with RJ-45 port, but if you must use it here, a USB-C to RJ-45 adapter will surely come handy. On the front, you’ll also find a 720p front-facing camera and stereo speakers for sound. On the Samsung XE513C24-K01US, we’re seeing seamless flexibility when switching between modes and stylus support, all of which are Google’s pitch for the device. It packs decent features into an all-metal body, including : a 12.3-inch quad-HD touch (2400-by-1600) display, 4GB of system memory, 32GB of e.MMC storage and a hexa-core OP1 ARM processor (2x Cortex-A72 cores + 4x Cortex-A53 cores). On the other hand, the Samsung Chromebook Pro will feature a dual-core 2.2GHz Intel Core M3 6Y30 processor that will even suffice for playing games. Still, the ARM processor and 4GB RAM will fire-up your interaction with the device on most fronts without experiencing any lags. You can even play android games such as Asphalt 8 without any issues, which is quite good, and can be used for document processing on the go. Apparently, it’s one of those 2-in-1s that I’d want to use as a tablet for long period, in addition to being a Good Netflix machine in the propped-up tent mode. With almost 10 hours battery life, it is one of those portable you can use all-day, and hook it up to the adapter at the end of the day or after cross-county flight. That said, it build quality isn’t anywhere close to the Chromebook Pixel, and the keyboard experience is a far-cry from the best you can get in competing Chromebooks, but the stylus and vibrant touchscreen are a bargain for the Chromebook’s price point. $400.00 at Amazon is more than competitive put side-by-side with other Chromebooks in its class, but the included stylus (not called an S Pen) makes it shine brighter. While not as precise as the iPad Pro’s Apple Pencil or Microsoft Surface Pro’s Surface Pen, the Samsung Chromebook’s stylus is still a pretty decent addition to have. Once upon ago, I’d shrug at the idea of a laptop with a stylus, but now with 2-in-1s in the market and styli with enough power, it’s a welcome feature. Whether or not the new Samsung Chromebook Plus will ignite the fire among users remain to been, but I can bet that it’s a very solid, competent device that triumphs over restrictions we saw in earlier Chrome OS machines. All these make the Samsung XE513C24-K01US an easy choice to recommend, as we look forward to the Samsung Chromebook Pro to hit the stores later in Spring 2017. As just a laptop and tablet, the Samsung Electronics XE513C24-K01US Chromebook Plus is more than competitive put side-by-side with other chromebooks in its class, but the included stylus (not called an S Pen) makes it shine brighter.